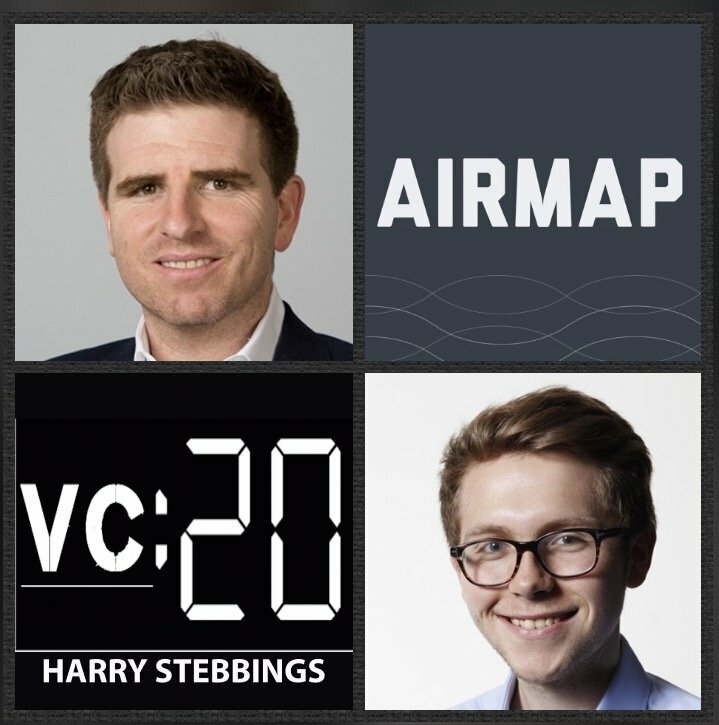 Ben Marcus is the Founder & CEO @ Airmap, the startups that provides everything one needs to unlock and scale drone operations in the ever-changing world of airspace. They have raised over $40m in funding from industry heavyweights Sony, Rakuten, Qualcomm, Airbus Ventures and then also many friends of the show including Semil Shah, Lux Capital, Microsoft Ventures, General Catalyst, BullPen Capital and David Waxman at TenOneTen, just to name a few. Prior to AirMap, Ben co-founded and was CEO of the world’s largest light business jet sales company, Jetaviva and before that started his career as a flight instructor and later became a flight test engineer. Fun fact, Ben is also an FAA-certified Airline Transport Pilot and Flight Instructor with over 4,500 hours of flight experience. 1.) How Ben made his way into the world of startups and drones from being a pilot and flight test engineer? 2.) What does Ben think is a strong investment strategy when investing in the drones? What 4 categories present nascent opportunities to Ben? What elements of the tech stack should potential investors further drill down on with potential investments? 3.) Question from Hemant Taneja: How does Ben assess the presence and desires of Amazon and Google with their pre-existing mission to win the airspace? Question from Semil Shah: Does this lead to a world of consolidation and startup M&A by incumbents? 4.) What does Ben believe are the core catalysts that will take drones to 100s of millions of people? How does Ben assess the similarties and differences in serving enterprise vs consumer drone markets? Does Ben agree with Jonathan Downey in his expression that enterprises like “boring” offerings? 5.) How does Ben evaluate the hardware vs software paradigm in the drone market? Does Ben see the commoditisation of drone hardware in the coming years? How does Ben evaluate the likes of DJI with their prominence? Does the weaponisation of drones cause significant alarm for Ben?